On Saturday 4th March 2017 Youth Fellowship held a special celebration on the occasion of our 30th anniversary. The evening kicked off with a medley of praise and worship songs which were sung through the years. This was followed by a short address by Andrew Consiglio, founder of the group. He began by thanking all those present for attending, as well as all those who through the years planted ‘seeds’ in the ministry. He stressed that the evening was a testimony to the faithfulness of God and “neither he who plants nor he who waters is anything, but only God, who makes things grow” (1 Cor 3:5.6). 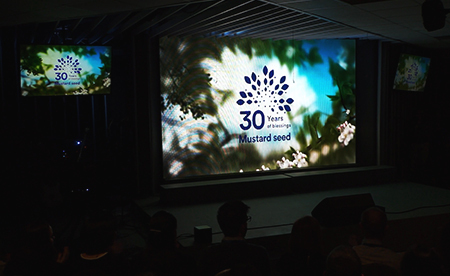 A special video presentation prepared for the anniversary was shown next. It traced the story of Youth Fellowship from 1987 until now through various testimonies of people who have been involved in the ministry and whose lives have been impacted in one way or another. The first part of the programme was concluded with two songs beautifully performed by the 30th Anniversary Choir and a short time of prayer. Youth Fellowship was honoured by the presence of His Grace Archbishop Monsignor Charles Scicluna, His Grace Archbishop Emeritus Monsignor Paul Cremona, the Vicar General Monsignor Joe Galea Curmi and a good number of priests, who concelebrated in the Thanksgiving Mass in the second part of the programme. 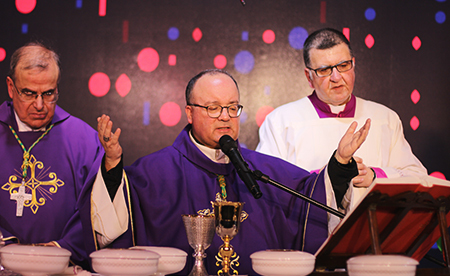 In his homily Archbishop Scicluna spoke on the three temptations Jesus faced in the desert and His response to the Tempter. We were reminded that though we need to work for our daily bread, man does not live on bread alone but on every Word that comes from the mouth of God (Matthew 4:4). In today’s society where having a faith-based worldview is not accepted, we need to give witness to this truth. We also need to keep in mind that God’s word should be embraced with all the challenges it brings otherwise we can fall into the temptation of trying to ‘negotiate’ with the Lord; in other words we must not put the Lord our God to the test (Matthew 4:7). 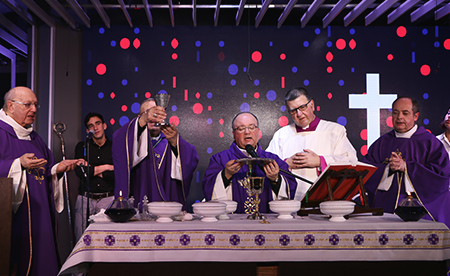 The Archbishop also exhorted us to live what we sing in our praise and worship songs by making sure that there would be no place for idols in our lives and that Jesus is always the only King of our heart: worship the Lord and serve Him only (Matthew 4:10). The Archbishop concluded by encouraging us to consider ourselves as protagonists in the life of the Church in Malta where we fully belong. The vital thing is that we always make our own, the truth of God’s Word that Jesus answered the Tempter in our name. After the cutting of the cake, the programme ended with a reception.